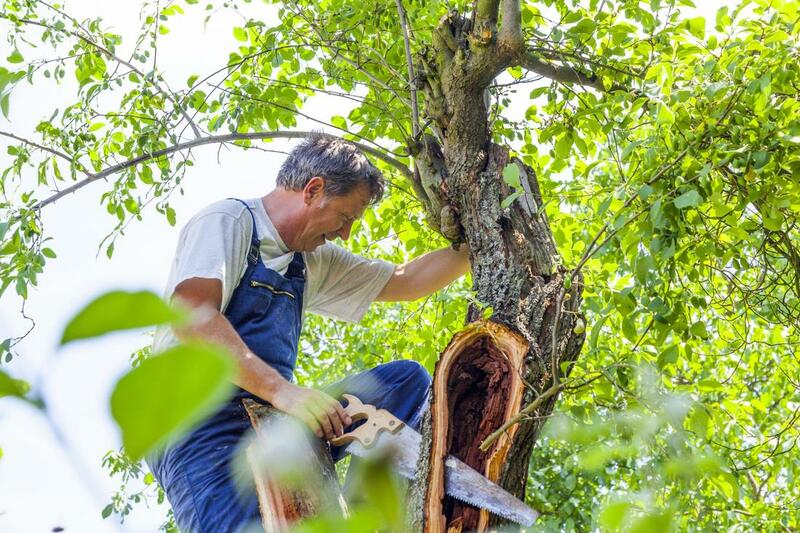 Tree surgeries are often performed when a tree continues to overgrow, is unsightly, or has begun to decay. Keeping a tree that has succumbed to any of these unfortunates can typically provide problems such as roof or wiring damage, along with pest infestations and odor. To deter these from happening, tree surgery may often be the best option as it comes in a variety of forms and is able to remove, groom, and treat trees that suffer from disease, decay, overgrowth, and much more. The initial assessment is the most important part of the tree surgery. This allows us a consultation with you to address your concerns with the tree or trees you want removed, what the problems are, and how they can be addressed. Sometimes clients come to us wanting a tree removed without realizing that a simple pruning can yield just as effective results and for half of the price. The assessment also allows us to determine if there’s any diseases or pests to look out for when tackling particular trees, so we can be prepared and aware of them before conducting our work. Tree surgery can typically include a variety of things from pruning to crown reduction or crown lifting. These processes are done to reshape the tree and alter its branches. Depending on what you’d like performed to the tree or how it’s affecting its surrounding areas, can determine what service would benefit it most. During the assessment period, we’ll be able to determine which of the following tree surgery services would serve it best. While tree surgery may seem scary or expensive, you’ll be receiving the highest level of quality service when you entrust your tree surgery services with us. Each of our services is designed and developed to be nothing short of prime quality. We care for the trees, lawns, and landscaping, and want to maintain the integrity of these as much as possible. Although it sometimes can’t be helped, we aim to reduce the number of trees being cut by offering alternative surgery services that are catered to deliver similar results and at a reduced price. We care deeply about making our services as eco-friendly and sustainable as possible, so we’ll always seek alternatives before removing a tree completely. As with most of our services, we’re incredibly flexible in tailoring our services to match your specific needs. That also goes with the budge and costs associated with each of our services. If you’re looking to work within a specific budget, we’re more than happy to accommodate this and compromise on something that you’re comfortable with. We’ve worked on payment plans with clients in the past that have trees they want removed but can’t bear the costs right away. We understand that it’s not a common service to save up for, so we make ourselves flexible with the budgets to help customers.